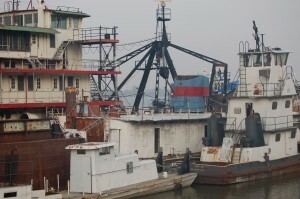 In the last several decades, Missouri and Illinois federal courts have adopted a defense to maintenance and cure called the McCorpen defense, which was first established by the U.S. Court of Appeals for the Fifth Circuit – a Court that has historically plowed new ground on numerous maritime issues, given the large number of cases involving the commercial shipping industry in Louisiana. Under the McCorpen defense, an employer does not have to pay maintenance and cure benefits if it can show that an injured seaman intentionally lied or concealed important facts about prior medical history related to the current injury that would have influenced the employer’s decision to hire the seaman. In practical terms, this defense has caused some of the major river transportation companies in the St. Louis Metropolitan area and/or those travelling the Mississippi river to hire lawyers in Jones Act cases that aggressively gather medical records dating back 20-40 years to see if an injured employee failed to mention any conceivably relevant prior medical condition, no matter how minor or temporary, on their employment application or pre-employment physical forms. In one case that Faerber & Anderson handled, over-zealous defense attorneys attempted (albeit unsuccessfully) to use the defense based on a deckhand’s failure to disclose one trip to the infirmary for a swollen knee caused by Army infantry crawling, which took place over 20 years prior to employment. Because the right to maintenance and cure is automatic and employers can face punitive damages for a delay in paying those benefits, historically, many shipowners have not been prepared to employ the McCorpen defense right away. Unsatisfied with merely stopping benefits once an employer gathered prior medical record “ammunition,” many maritime employers decided to assert their own lawsuit (generally via counterclaim) to get paid back the money they had already paid to the employee. Under this type of lawsuit, the injured employee could end up owing the employer, no matter what the outcome of the Jones Act case, if a Jones Act case was even filed. At least one federal court in the Northern District of Illinois refused to allow ARTCO to bring its own lawsuit under those circumstances to recover maintenance and cure benefits it had already paid the employee. Recently, the U.S. Court of Appeals for the Fifth Circuit, the same Court that established the McCorpendefense in the first place, handed down a decision holding that a shipowner DID NOT have the right to assert a counterclaim against an employee to be paid back for maintenance and cure benefits. That shipowner, Transocean Deepwater, Inc., has filed a Petition for Certiorari, asking the U.S. Supreme Court to overturn the Court of Appeals, and reinstate the counterclaim. No matter what happens in the courts, if you are applying for a job to work in the towboat or shipping industry, be aware that any prior medical conditions, injuries or illnesses may be used against you in the future if you withhold that information on an employment form. As always, if you have been injured while working on a boat, barge or floating vessel, feel free to call Faerber & Anderson for a free consultation as to your rights.